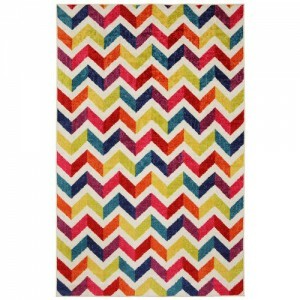 This vibrant colored rug features a trendy zig zag chevron pattern. It is 60 by 96 inches, made of nylon, and extremely durable. A playful area rug that will instantly create a fun and inviting feel to any room in your home.